We all want to stay young as long as possible. We want our bodies to be fit, our faces smooth, and our minds as fast as lightning. However, wishing won’t make a difference, while changing eating habits definitely will. 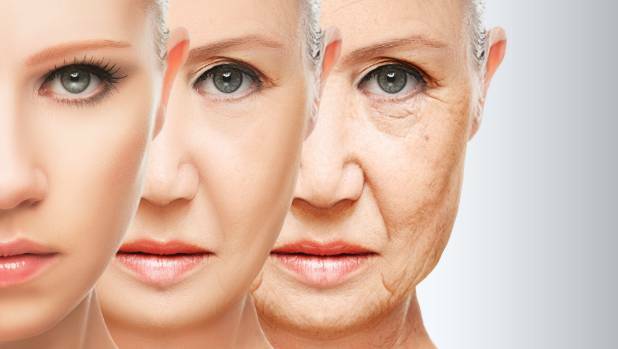 In fact, fighting aging and its effects is a centuries-old battle. After all, we all want to look and feel young. So, some turn to special exercise regiments, others to plastic surgery. But we have a different solution — including delicious anti-aging foods into your diet. These foods have the ability to slow down aging of the body — from the skin to the gut, brain, eyes, heart, and joints. One small piece of dark chocolate per day is enough to slow the effects of aging. Make sure to get the chocolate with a high cacao percent (70-90%). Rich in phosphorus, riboflavin, minerals, and vitamins that increase skin collagen. As a result, your skin will be more elastic and firm. Full of monosaturated and polyunsaturated fats, nuts help prevent vascular issues connected to aging, such as cognitive decline, heart disease, and type 2 diabetes. High vitamin E and C content help reduce skin damage caused by free radicals. Thanks to this, kiwi will help firm the skin and delay the appearance of wrinkles and fine lines. Contains calcium, magnesium, phosphorus, sulfur, and silicon in forms that your body can absorb easily. As a result, this broth will help reduce bone aging, inflammation, arthritis, and joint pain. As our skin ages, it becomes discolored and malnourished. Luckily, watermelon helps prevent that thanks to its high antioxidant, mineral, and vitamin content. Anti-aging and skin-lightening properties are complemented by the curcumin’s ability to help against neurodegenerative conditions. Rich in vitamin E, potassium, and B-complex vitamins, eating avocado will help keep your skin nourished, hydrated, and moisturized. Full of antioxidants like catechin and vitamin C, this will help fight skin-damaging free radicals while keeping your skin glowing and silky. Rich in astaxanthin, salmon can help improve blood circulation and protect against inflammation and oxidative stress. Basically, it helps slow down or prevent signs of aging. When you apply apple residue to the skin, it helps your skin remain moisturized and fresh. If you need a good natural toner, apple cider is the way to go. Antitumoral, antiviral, and rich in antioxidants, these mushrooms will help protect your body from the harmful effects of aging. You can use it topically or eat it. Rich in vitamins A, C, and E, this fruit will nourish your skin, fight new wrinkles, and act as a natural toner. Incredibly high antioxidant concentrations help maintain collagen levels high, so they keep your skin wrinkle-free and firm. Manganese, antioxidant, vitamins C and B6 all help prevent early aging, and are all found in bananas. Full of polyphenols and flavonoids, this fruit can help prevent hepatic and neurodegenerative problems. Maca root can help relieve symptoms of menopause and balance and normalize hormonal levels. Foods from this list won’t just make you look younger and slow down the inevitable aging process. They will also delay age-related health problems and help you be healthy and vital even at old age. Anti-aging foods can lower the risk of heart disease (avocado), protect your skin (blue blueberries), and help bone health (bone broth). Furthermore, these foods can protect your vision (antioxidant-rich foods), boost gut health (fig), and support cognitive function (turmeric). It might seem nigh impossible to include this entire list into your daily menu. 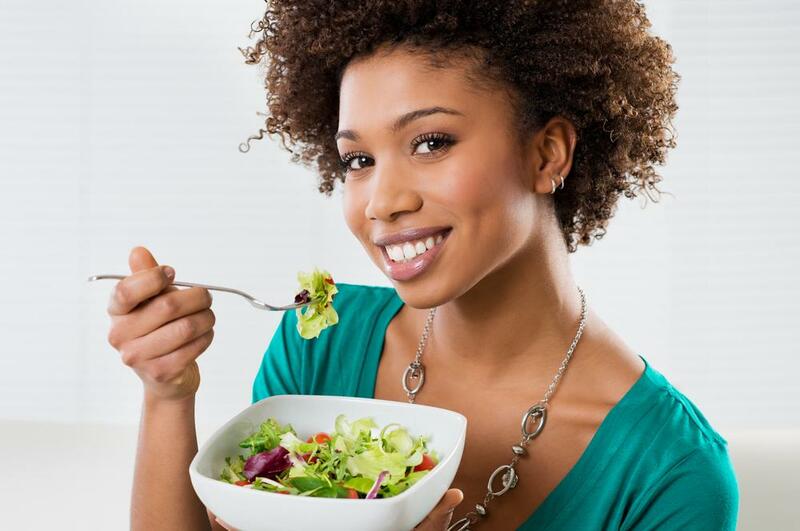 However, you don’t have to eat a lot of each of these foods on a daily basis. In fact, small amounts are enough to bring all the benefits. All of these anti-aging foods can be found either at your local farmer’s market or at a supermarket. So make sure to buy fresh and organic products, as they are the most beneficial. What we like the most is the idea of turmeric salmon over sweet and sour cabbage for lunch. For breakfast, we like avocado toast — fast and simple, yet incredibly tasty. For dinner, a light fruit salad, combined with some Chaga mushroom tea. And, if you can’t help your sweet tooth, you can always make a super-simple ice-cream from frozen, then blended bananas and berries. As you’re starting out, creating delicious recipes might be difficult, but don’t worry, inspiration is aplenty online, as thousands of people are using these foods to slow down aging, and they’re sharing their recipes.